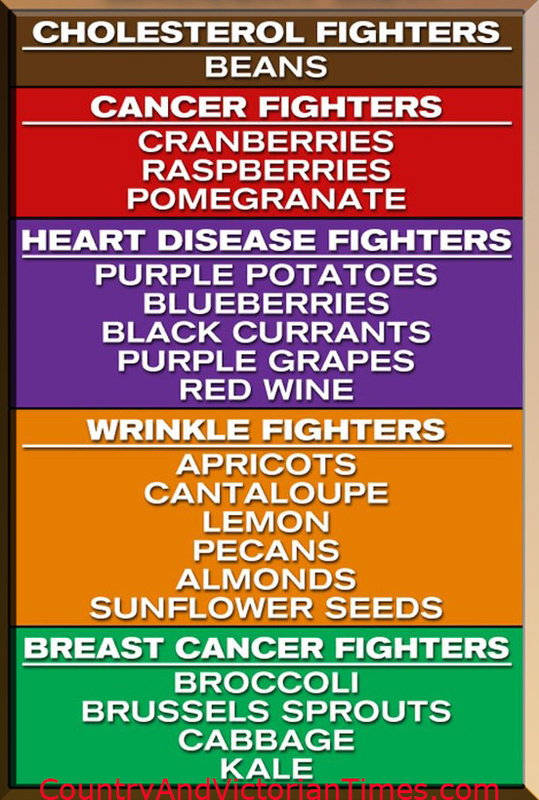 These are some simple foods that you can incorporate into your diet to help with things like breast cancer, heart disease, wrinkles, cancer and cholesterol. Some you already probably incorporate into your diet already but it is important to understand that the more raw and less cooked you eat them in is the healthiest for you and will help with the above conditions better. For instance, raw vegetables are best – but if you must cook steaming is the best way to cook, followed by blanching, boiling and placing into foil and baking are the best options. Nuts should never be purchased in snack isle or near registers – only get them in the baking isle. These can be found cooked or raw (some nuts are not edible in raw form) but they will not have added sodium and are much healthier for you. One final note is about frozen berries and vegetables – there is not a lot of difference in frozen berries and vegetables because mostly they are flash frozen which will allow them to retain their good properties. Just remember to look for things like added sugar or sodium (like that bag of frozen corn saturated with butter and salt that you throw into a microwave and serve right from the bag). This entry was posted in Health & Medical, Tid-Bits & Funnies, ~Dieting, ~Food and tagged anti-oxidents, berries, blanch, Boil, cooked, cooking, Eating, fruit, Garden, Health, nuts, raw, Raw foodism, vegetable, ~Christmas, ~Food, ~Healthy. Bookmark the permalink.